The ING Discerning Eye is an educational charity, established in the UK in 1990, to encourage a wider understanding and appreciation of the visual arts and to stimulate debate about the place and purpose of art in our society, and the contribution each one of us can make to its development. The exhibition comprises both publicly submitted works and works independently selected by six prominent figures from different areas of the art world: two artists, two collectors and two critics. Each section is hung separately to give each its own distinctive identity. The impression emerges of six small exhibitions within the whole. It provides an unusual opportunity for works by lesser-known artists to be hung alongside contributions from internationally recognised names. The selectors are solely responsible for their own selection; selection is not by committee. The only restrictions are limitation of size (only small works are permitted) and to select at least 25% of their section from the open submission. The exhibition is also supported by the sponsorship of ING Wholesale Banking. WHY PRE-REGISTER FOR DISCERNING EYE? Please be aware that we do not require any digital images of your work, unless selected for exhibition at which point we will request images to upload to the Discerning Eye website. Following the success of 2018 pre-registration we are again offering an optional online pre-registration for artists. Artists are able to register the number of works they intend to submit, choose where they are submitting and pre pay for them. PLEASE NOTE: In 2020 it will not be possible to enter on the day and all applicants will be asked to pre-register. It is an easy 4 step process to pre register and it will save you money. Click on the online entry tab and fill in the details on the entry form including where you want to submit and how many works. Make your payment. You will be sent an email confirmation with your Unique Reference Number. Download the Entry Schedule and Work Labels on the Download/Links page and fill them out. Bring your artworks and the completed Entry Schedule and Work Labels to your chosen Submission Centre on the appointed day and time. If you want to add any more work or wish to change your submission centre, you can do this up to the deadline on 27 August 2019, 5pm. PLEASE NOTE: If you would prefer not to register online beforehand, or if you have not registered the maximum number of works before the deadline and would like to add more, you may still hand in your works to your selected Submission Point without being pre-registered and pay either by cheque or cash. The 2019 ING Discerning Eye Exhibition will be open to the public from Thursday 14 November – Sunday 24 November, between 10am and 5pm daily at the Mall Galleries, The Mall London SW1. Admission will be free and all the works will be for sale. Artists benefit from many lucrative prizes offered by both ING and a number of other generous sponsors. * These prizes are selected by the individual prize givers, not the selectors. **These prizes are selected by members of the Discerning Eye Educational Board, not the selectors. 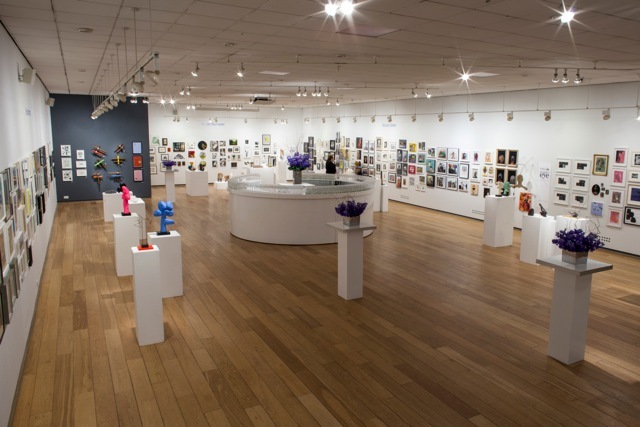 The ING Discerning Eye Exhibition is selected each year by 2 Collectors, 2 Critics and 2 Artists. The ING Discerning Eye 2019 is open to all artists resident in the UK. Initial entry is by optional online registration. Online registration closes at 5pm on 27 August 2019. Following online registration, registered artists must then complete the Entry Schedule and Work Labels and hand these in with their works at their Collection Point. Artists may register to enter up to six works for consideration by the Selection Panel. During online registration, each registered artist will be provided with a unique reference number in their confirmation email that will need to be included on the Entry Schedule and Work Labels. The Entry Schedule and Work Labels are available on the Download/Links page of this website. Work labels should be completed and attached securely to the back top right hand corner of each work. Completed Entry Schedules should be handed in with the works at the Collection Point. If you would prefer not to register online beforehand, or if you have not registered the maximum number of works and would like to add more, you may still hand in your works to your selected Submission Point without being pre-registered and pay either by cheque or cash. Unfortunately we cannot offer refunds for any works pre-registered but not submitted for selection. Artists may submit up to six works. Entry fees are listed below. *The submission fees for works which haven’t been pre-registered have increased to cover the administrative costs involved in manually processing applications. PLEASE NOTE: In 2020 it will not be possible to enter on the day and all applicants will be asked to pre-register. The completed Entry Schedule and labelled works should be handed in to your Collection Point on the specified days only. For full details about hand in points and dates, please download the Collection Timetable in the Downloads/Links section of this website. PLEASE NOTE: You can only enter six works in total. A1/M1/M11 Service Areas By appointment only. Contact Picture Post, 07833450788 or 01302 711011 or info@picturepostcompany.co.uk. Collection fee is payable directly to Picture Post. SUBMISSION BY POST Deadline date for artwork to arrive: Tuesday 3 September. Please contact Picture Post direct for details, telephone 07833450788 or 01302 711011 or info@picturepostcompany.co.uk. Artists will not be notified of the results of their entry directly. Results will be posted on the Downloads/Links section of this website from Thursday 12 September 2019. Only the selected work will be listed on the site. If your name and work number do not appear on the website you must arrange collection. If you do not have internet access please contact Parker Harris on 020 3653 0896. The selectors’ decisions are final and no correspondence will be entered into. All unselected works must be collected from the Federation of British Artists, 17 Carlton House Terrace, London SW1Y 5BD on Friday 13 September (10-5pm) or Saturday 14 September 2018 (10-4pm). Works that remain uncollected will be removed from the Mall Galleries and taken into storage and will be liable for storage charges. Collection of these stored works will be available on Wednesday 18 and Wednesday 25 September (11am-4pm) and charges will be £12 per work. Following these dates, collection will then be by appointment only and charges of £20 per work/per week will apply. The storage and collection address is: Chelsea Self Storage, Blantyre Street, London, SW10 0EQ. PLEASE NOTE: Works not collected by 1 January 2020 will be disposed of. For further details, please contact Art Moves of Chelsea directly, 020 7352 7492 or artmoveschelsea@aol.com. For the return of regional unselected works, please contact the carriers directly for information and charges. The ING Discerning Eye Exhibition 2019 will retain all works selected for exhibition until the exhibition at Mall Galleries, London in November 2019. If you have not heard from us to say that your work(s) have sold by the end of the exhibition (Sunday 24 November 2019) please can you arrange for the collection of your work Friday 29 November or Saturday 30 November from 10am – 4.30pm at 17 Carlton House Terrace, SW1Y 5BD (rear of The Mall Galleries). After this date, all works that remain uncollected will be removed from the Mall Galleries and taken into storage and will be liable for storage charges. The storage and collection address is: Chelsea Self Storage, Blantyre Street, London, SW10 0EQ. Collection will be by available by appointment. Please contact Art Moves of Chelsea directly, 020 7352 7492 orartmoveschelsea@aol.com.